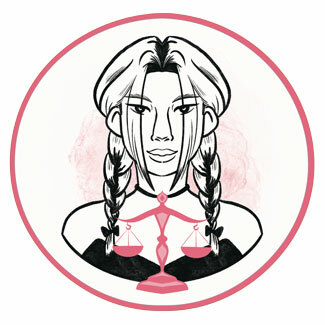 Authenticity is highly supported on this date, even with the Sun still in Libra, as it opens one's mind to receive knowledge from contact with any other person. This is a date of expansion and higher causes, a time when anything becomes possible if one is ready to be brave and jump into the fire for things that they believe in. People born at this time have strong convictions and something creative and grand to push into the static ways of the world. 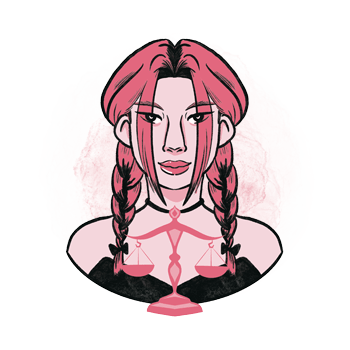 Libras born on October 13th have a deep system of beliefs to always turn to, guarding and protecting them in times of crisis but often also giving them high expectations in relationships with others. Knowledge found in Jupiter in their planetary row needs to be well-incorporated in their routine and each bond they form, so they can share in a constant flow instead of lowering their expectations and hitting too many walls in their path. What they believe in should always be found within and outer systems of religious or political views will sometimes spark their inner light, and sometimes hold them tied in disbelief by views they don’t really agree with. The more positivity they manage to form in their views on life, the closer they get to the ideal they wish to live in their relationships. "A Rabbi Performing His Duties"
Although this seems like a proper image for someone born on this date, just as it is, it also speaks of routines that hold these individuals down when they need to feel free. Their foundation is to be found in faith of any kind, but superstition comes with ease and rituals they hold on to don’t always do them good. It is important that they follow emotional contact with knowledge they’ve received, so they can incorporate their visions and beliefs into their everyday life without getting disappointed by the world and turning to solitude, celibacy, or extreme lack of self-expression. The bigger picture must be maintained at all times, or details they wish to work on throw them off track and make them stuck in things that aren’t really relevant to their own heart. Finding their purpose in little, practical things and different ways to express their individuality, people born on the 13th of October need the right social circle to turn to in the time of need. They are to balance out their vision and higher thought with practical, grounded and obvious things in life, holding on to their big inner world as they deal with the realistic one on the outside, step by step. Their path is one towards self-acknowledgment and freedom of expression, through words, their work, and creativity of all sorts. They need to discover ways in which to communicate with the rest of the world bravely and without holding back or swallowing their emotions. Emotional world of those born on October 13th can be quite rich and fulfilling, but they will often overthink things and find themselves in situations where too much has to be explained and they’d rather simply enjoy life. The insecurity to express themselves might lead them into relationships where the other person talks too much or takes away their energy. They need enough personal stability to be able to hold on to boundaries that are clear and obvious from the moment they meet their partner. It is important that they don’t fall into the loop of asking themselves how they seem to others, and instead simply be honest in search for acceptance for who they really are. Their emotional world can be quenched by too many thoughts and their mind isn’t always their friend, especially when they think about other people's needs more than their own. They need an attentive partner who is stable, focused, and able to push their good intentions back to them, so they can truly use the potential of connecting they carry within. At times, they end up in relationships with a large age gap, coming from their need to be nurtured as children, or seen as serious grownups. However, for as long as their emotions are stable and listened to, any romance they form will last and bring satisfaction. A person born on October 13th excels in teaching and writing, for as long as their knowledge comes from the heart. They make great orators, travelers of the world who wish to expand their horizons, and typically strive at college and higher education where they can feed their curiosity. As they build enough knowledge to hold on to while paying attention to practical details and little things, they gain quality in any area of expertise and find new ways to fight for their beliefs within the system they belong to. Blue kyanite is a crystal that promotes honesty of mind and helps those born on October 13th to develop the ability to interact with others clearly and without restrictions. This is a healing stone for both the throat and the third eye chakra, and as such aids communication with others as they cleanse the pathway of their heart to the head. A gentle stone that rebalances one's energy and aligns the chakras, it will be useful in all contacts but most of all those with people who are to receive knowledge from their relationship. Individuals born on October 13th wish for gifts they can learn from, books on different philosophies and religion they can read, or a new adventure to a distant land they always wanted to visit. An airplane ticket to Israel might make them just as happy as a simple ticket to a lecture by someone they love to listen to. Buy something big and joyful to fill up their space and give them vision on simple, little things, such as sewing, drawing and everything done by hand. Growing, open for adventure, and a bit more straightforward than other Libras, they are honest, direct and aim high, opening wide spaces for others to conquer and look forwards to. Protected by higher forces and ready to help. As they steer away from their emotional world, they lose the truth in their heart and their way of expression, becoming unreliable and closed for others, pretending to be something they aren’t just to fit norms set by the system they are trying to fit into. In 1941 Paul Simon was born, an American singer, guitarist and songwriter, who rose to fame as half of the duo Simon & Garfunkel. His music career began when he was 11 years old and met Art Garfunkel. Their cooperation ended at the peak of their popularity. In 1967 Kate Walsh was born, an American actress and producer, who starred in the role of Addison Montgomery on the series Grey's Anatomy and Private practice. Apart from her career in acting, she founded Boyfriend LLC, a beauty and lifestyle company. In 1980 Ashanti Shequoiya Douglas, professionally known as Ashanti, was born, an American singer, songwriter and actress. She was named after Ashanti Empire in Ghana, where women had power and influence, so she will follow that influence. 1307 – In France, hundreds of Knights Templar are arrested. 1843 – Founding of the oldest Jewish service organization in the world. 1884 – The Greenwich Observatory is established as the prime meridian. 1892 – The first time that a comet is discovered by photographic means. 1923 – Turkey gets its new capital, Ankara. 1976 – The first electron micrograph of an Ebola Virus is taken.